Touch ‘n Foam Professional products allow you to use less energy which helps reduce air pollution and global warming associated with energy production. When properly used, Touch ‘n Foam Professional products control internal building temperatures, reduce moisture flow and result in reduced energy costs overall. The graphic above shows typical areas of energy loss throughout the average home. 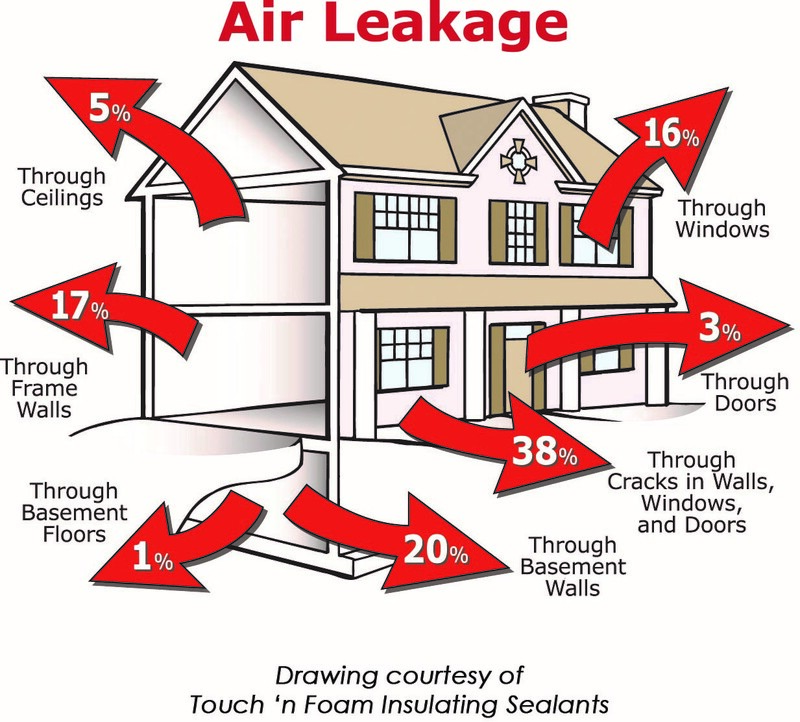 By sealing these areas, energy costs can be significantly reduced. Most homes have inadequate insulation, and all those wires, pipes and ducts running through the walls let cold air in, and warm air out. With a 400% increase in energy costs over the past decade, it only makes sense to seal those gaps. Touch ‘n Foam Professional insulating sealants offer an ideal solution for reducing the monthly sticker shock.